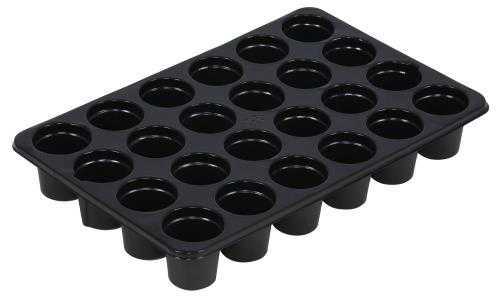 Super Sprouter® Simple Start® 24 cell insert works in conjunction with the Simple Start® 8 x 12 inch no hole tray (#726426). A perfect solution when a few is enough. Fill the 1.5 inch cells with plugs, stonewool or soil to start your seeds. Use with the Simple Start® 4 inch dome (#726422) to create a miniature green house.